Dr. Jeffrey Boeckman is the Director of Bands at the University of Hawai’i. He conducts the Wind Ensemble, teaches courses in conducting and wind literature, and oversee the entire UH Bands program. In just their first year under his direction, the UH Bands have embarked on an ambitious program of programming, commissioning, touring, and professional development, including a collaborative Chamber Winds program between members of the Hawaii Symphony and the UH Wind Ensemble; a Summer Conducting & Rehearsing Workshop; and a composer residency program. Prior to this appointment, Dr. Boeckman served for five years as the Director of Bands & Orchestra at California State University-San Bernardino, where he conducted the Symphonic Band, Chamber Winds, Chamber Orchestra, and served as orchestra director for the CSUSB Opera program. Under his direction, the CSUSB Bands worked with a number of guest artists and composers, initiated commissioning projects, and premiered several new works. Dr. Boeckman is also the founder and musical director of the Inland Empire Youth Wind Symphony, a performing ensemble of San Bernardino & Riverside Counties’ most talented high school musicians. He was recently named Associate Conductor for the San Diego Winds, a professional wind band in San Diego, CA. Dr. Boeckman also served on the faculties of both Texas A&M University-Commerce and Roanoke College in Virginia. For five years, he was the Director of Instrumental Music at Shasta High School in Redding, California, where he led the bands, orchestra, and chamber ensembles in acclaimed performances at festivals and on national and international tours. Dr. Boeckman also directed the Redding Symphony Youth Orchestra for three seasons, and served as guest conductor for the Redding Symphony Orchestra. A passionate advocate of new music, Dr. Boeckman has worked with such composers as Michael Colgrass, Jeffrey Brooks, and David Maslanka on performances of their music and has premiered a number of works, including Scott Gendel’s opera Iphigenia at Aulis. Ensembles under his direction have performed at such venues as the Califorina, Hawaii, and Texas MEA Conferences. He has served as an adjudicator and clinician across the country, and as a guest conductor of honor ensembles in several states. His scholarly work has been presented at the World Association of Symphonic Bands and Ensembles (WASBE) International Conference and the California & Hawaii Music Educators Association State Conferences, and has been published in the Journal of Band Research; his book A Counterpoint of Characters: the Music of Michael Colgrass was recently published by VDM Verlag. 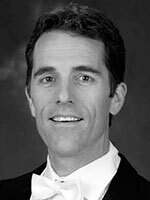 Dr. Boeckman holds degrees from the University of California at Berkeley, the University of Arizona, and the University of Wisconsin-Madison. His principal conducting teachers include Michael Senturia, Gregg Hanson and James Smith.